NABSSAR has received several requests from international BABYDOLL breeders asking for information about becoming a NABSSAR member and registering their sheep with us. The Board has decided to allow these breeders to apply for a Provisional Certificate of Registration (PCoR) via our Open Registry process. However, international Open Registry applicants will need to meet a few additional requirements than non-international applicants. After fulfilling these requirements, the sheep in question will become a member of its country's Foundation Flock. 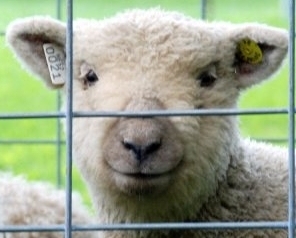 The NABSSAR's goal is to obtain background information that will convince the Open Registry Standards Committee (ORSC) that each sheep in question is indeed a pure BABYDOLL-type Southdown. The background information will need to include pedigrees and/or photos of relatives from preceding generations or of related registered sheep. It is important to note that because there will probably be a minimal amount of history regarding parentage, many of the first sheep accepted in the Foundation Flock of any particular country will be based on their looks. This is the reason the NABSSAR is requiring photos of the offspring from each sheep before he/she will be released from the Provisional Program and given a NABSSAR CoR. Ewes accepted into the Provisional Program will also need to have their offspring followed by the ORSC. Breed her two (2) separate times. 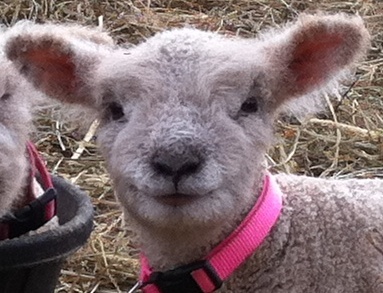 The ORSC will evaluate photos of at least one lamb from each litter produced by the ewe. Submit these photos when the lambs are nine (9) months of age. If the ewe's lambs earn a PCoR, then, the ORSC will allow the ewe out of the Provisional Program and give her a NABSSAR CoR - making her a member of the Foundation Flocck of a particular country. Breed the ewe to a NABSSAR registered ram, a ram already accepted into the Provisional Program, or a registered/unregistered old-world-type Southdown ram when producing these offspring. Rams accepted into the Provisional Program will also need to have their offspring followed by the ORSC. The ORSC will need to review photos of at least two (2) offspring that he has sired. This can be accomplished by breeding the ram with two (2) ewes or mate him with the same ewe two (2) times. Submit these photos when the lambs are nine (9) months of age. If the ram's lambs earn a PCoR, then, the ORSC will allow the ram out of the Provisional Program and give him a NABSSAR CoR - making him a member of the Foundation Flock of a particular country. Breed the ram to a NABSSAR registered ewe, a ewe already accepted into the Provisional Program, or a registered/unregistered old-world-type Southdown ewe when producing these offspring. The NABSSAR will utilize the Provisional Program for each country until a sufficient number of sheep are in the Foundation Flock (the number for each country will vary). The Provisional Program closes to that country once it has reached that number. When a sheep obtains a non-provisional CoR, its offspring will not have to enter the registry via the Provisional Program. The ORSC will be evaluating every sheep submitted for acceptance into the Provisional Program. The owner of the sheep must be an active NABSSAR member and will need to provide the necessary photographs and documentation. Submit the animal's sire and dam's photos for evaluation also. On the PCoR, the Registration Number will have a "P" suffix (ex. 123456 P). Before issuance of a non-provisional NABSSAR CoR, the animal must have produced lambs during a two-year period. Photographs and documentation of the lambs produced during that time must also be submitted to NABSSAR via the ORSC; meet the NABSSAR breed standard; and have been issued a PCoR. Meeting these requirements earns the original sheep a NABSSAR CoR. Now considered a purebred BABYDOLL Southdown, the sheep will become part of the Foundation Flock of that particular country. You must be a member of NABSSAR to register (includes open registry) and transfer sheep. Before submitting any applications for registering or transferring sheep, please become a member and obtain your membership number. You will receive a welcome letter with your membership number and other information from ASR. If you are already a NABSSAR member and own sheep meeting the NABSSAR breed standard registered with another BABYDOLL Southdown Registry, you may apply to transfer those sheep to the NABSSAR by filling out the Open Registry Form and complete the process listed. The applicant sheep MUST be at least nine (9) months old so the ORSC can estimate adult height using the height photo submitted. Fill out the Open Registry Form and Work Order & Fee Schedule Form, then print and mail it in. The form is a fillable PDF or you may print it first and fill it out by hand. The form must be COMPLETELY filled out. Click here for guidance on taking proper pictures and filling out the form. Submit four (4) clear photos of the animal standing squarely, from each side — right, left, front and back. The photos must be clear, close, and include the entire sheep in the photo. Please only have one sheep in each photo. The photos must be submitted hard copy. NABSSAR will NOT accept e-mailed pictures. You may use a digital camera, but print the photographs on a piece of paper. The photos can be on one sheet of paper, but make sure they are not too small. The sheep must have an official ear tag. The numbers on the tag must be visible in the photo. This most likely will require a separate photo, but make sure it is clearly from the same sheep. The ORSC needs proof of height. In one of the side photos, measure your sheep's height by having the sheep stand on a flat and level surface. Have a helper hold a yardstick or wicket perpendicular to the ground at the sheep's shoulders with the 24" clearly marked and the sheep's fleece pressed down. You can use a second yardstick and lay it across the sheep on the withers (the ridge between the shoulder blades). Make sure it is level and have it intersect with the yardstick that is perpendicular to the ground next to the sheep. Hold the camera level with the sheep's back so that the accurate measurement can be seen (photos taken from above this level will not provide an accurate depiction of the sheep's height). Make a photocopy of the sheep's current registration papers (if the sheep is registered) and copies of any available extended pedigrees, or any other information about where and from whom you obtained the sheep. To prove the sheep up for consideration is indeed a BABYDOLL Southdown, you want to provide as much proof as possible. Include this with your mailing. Include the Work Order & Fee Schedule, along with the fees. $8.00 USD (US Dollars) per sheep registration or transfer, plus $10.00 USD for the ORSC reviews of the photos and documents. Send a total of $18.00 USD per sheep when applying for Open Registration. Include a copy of the genotyping results (RR, AR, or QQ) from the lab if you would like this information to be added to the CoR. Copy of genotyping results (RR, QR, or QQ) if to be added to the CoR. The members of the ORSC will review each submitted application individually. The ORSC will forward your application package to the Registrar. The Registrar will mail granted CoR (provisional or non-provisional) to you if your sheep met the above-mentioned requirements. Improperly filled out forms, incorrectly sent applications, or insufficient funds will be returned. This may cause delays in the process. All applications for registry require photocopies of previous CoR. Please do not send in the original certificates as they will not be returned. Click here for guidance on taking proper pictures and filling out the form.